Seams can be your biggest enemy when you're trying to design a jacket that's both lightweight and wind/waterproof. 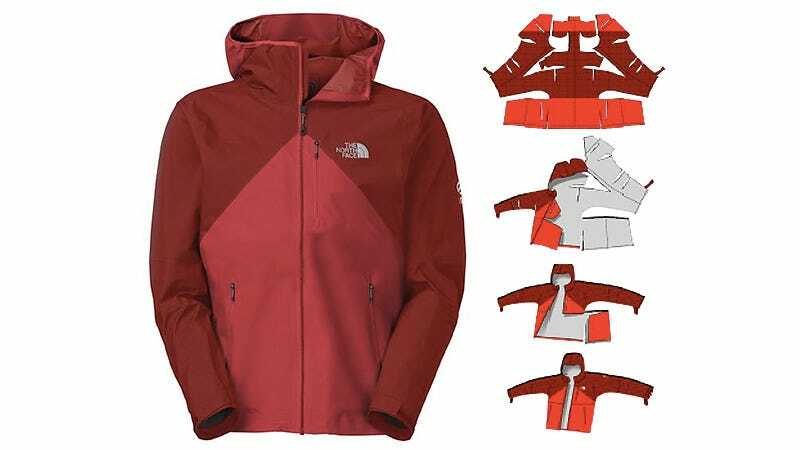 So The North Face engineered its new Fuse Uno jacket to assemble from a single piece of fabric like a complex origami model, reducing the number of seams that need to be stitched and sealed. However, in order to make a jacket that's both strong and lightweight, manufacturers usually rely on several different fabrics with different properties, which again results in seams where they're connected. So to overcome this, The North Face actually changed the threads as they were weaving the fabric for the Kuno Uno, incorporating Cordura into the top section, which adds strength and durability for backpack straps that are constantly rubbing against the material.